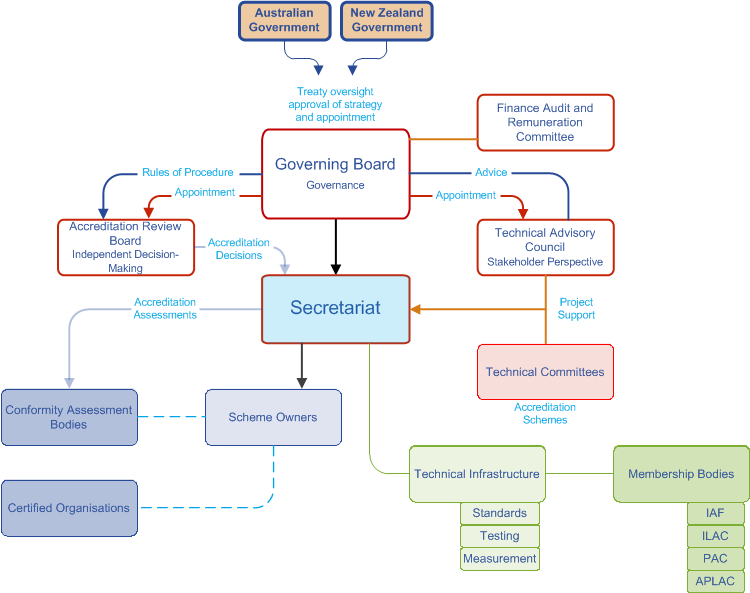 JAS-ANZ operations are overseen by a governing board. The Technical Advisory Council and the Accreditation Review Board bring technical expertise and stakeholder involvement to the development of accreditation programs and the accreditation decision. The JAS-ANZ Secretariat is responsibile for administering the accreditation process, coordinating the technical committees associated with the accreditation process, co-ordinating the technical committees assiciated with the accreditation schemes, providing input into national and international committees and working groups, and facilitiating the develpment of new accreditation programs and schemes.